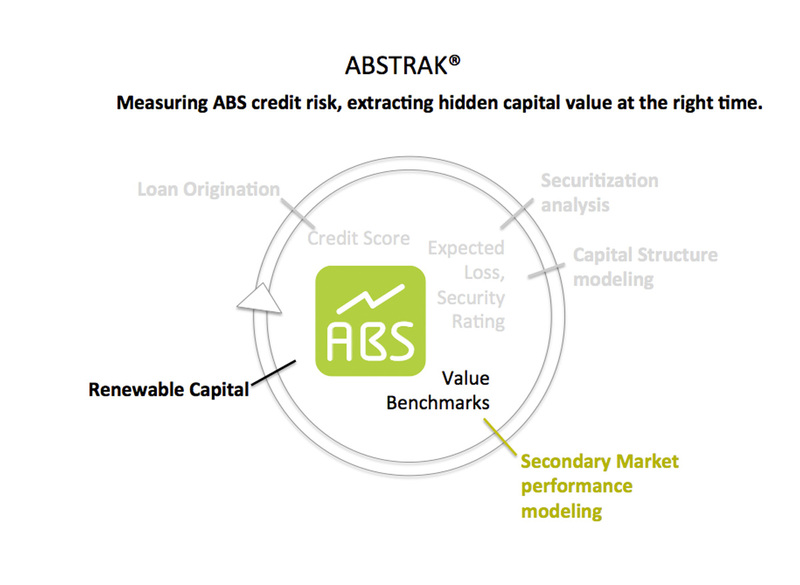 Our secondary market performance monitoring engine fully reflects the forward-looking risk and value of ABS tranches using pool- or loan-level trustee data. Credit Duration and Convexity Updated 12-month and Lifetime Expected Loss. Primary market structuring and valuation engine available online, locally installed or on the Cloud. Visual, flexible, easy to clone and debug, WFE© comes with a transaction wizard and a large library of existing structures readily adapted to build new features and deals. If you previously interned or studied with us, contact us about being a Beta User. 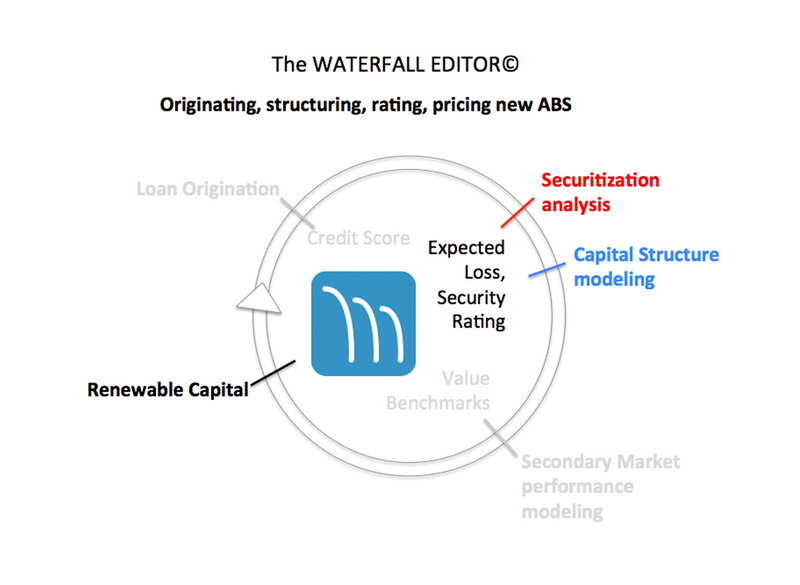 A loan pricing system that supports the lender in solving for the optimal sizing, pricing and maturity given the target risk. As an expert system, LOTUS frees the experienced lender to build a book faster, translating knowledge of the client into actionable results. 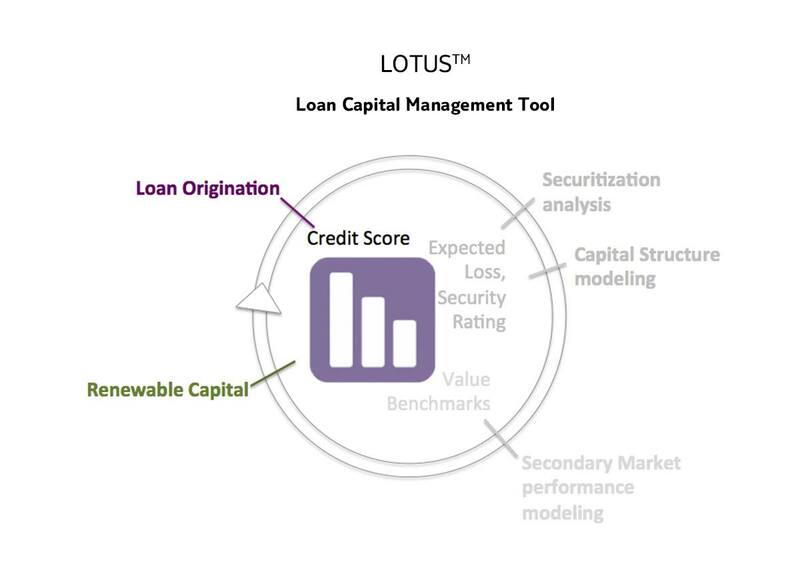 Behind LOTUS is a data base that keeps the time-series record of Basei III and securitization-required loan level metrics. These can be aggregated for use in portfolio underwriting, funding strategy and regulatory review.